The Logaster website offers a new option which enables you to print your promotional materials without leaving your home. This is achieved by integrating Logaster and Zazzle. Read below to learn how to print products created on our website. Zazzle is an online platform that prints and delivers promotional materials all over the globe, including the CIS countries. With Zazzle, you can upload your designs and place them on whatever object you like, from postage stamps to T-shirts to household items. Multiple materials and carriers, embroidered clothing, and digital prints – all you need to create a unique visual identity for your brand. 2.1. 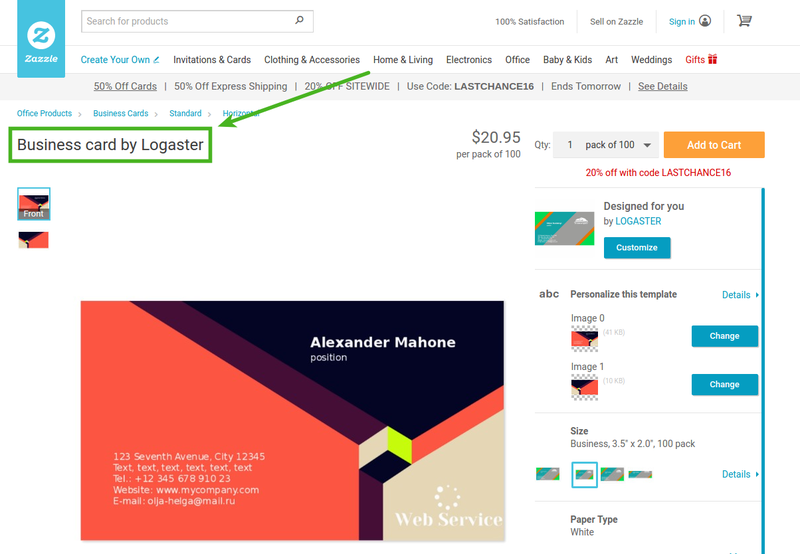 Purchase and activate your business card on the Logaster website. To ensure high quality, you must buy and activate your business card on the Logaster website. Otherwise, your business card will have the Logaster watermarks. 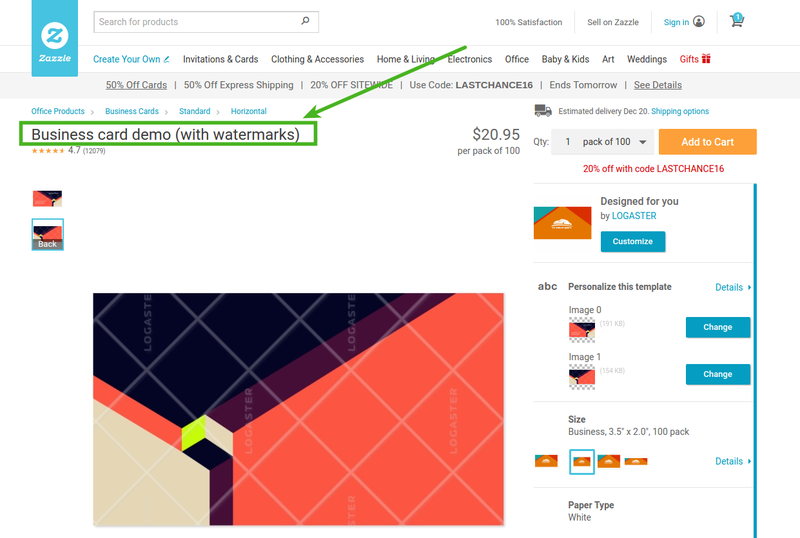 On Zazzle, you’ll see the text “Business card demo (with watermarks)”. Your printed designs will contain watermarks. 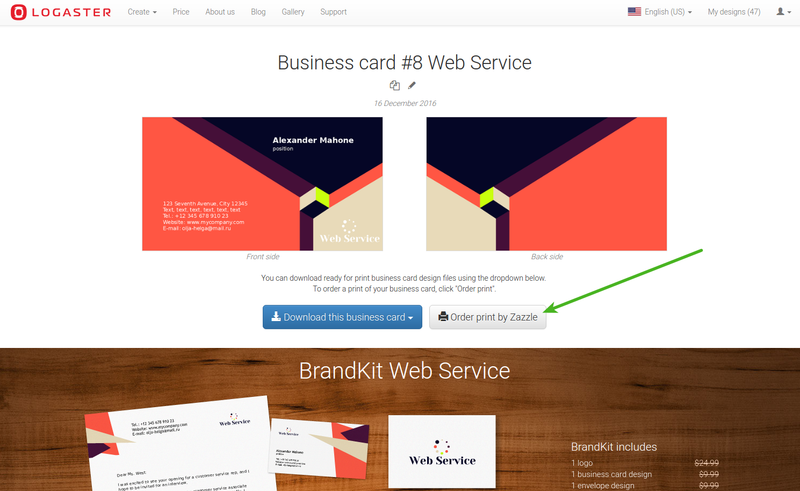 2.2 On the Logaster website, click on “Order prints on Zazzle” on your business card page. You’ll be redirected to Zazzle. 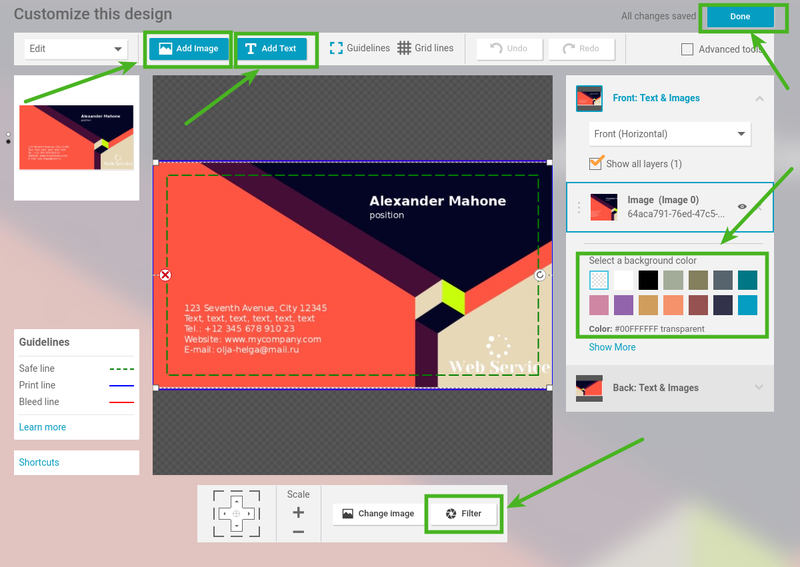 1) The “Customize” option on the “Designed for you by Logaster” tab enables you to add text or an image to your business card (for example, a QR-code), change the background color, and apply filters. Once you’re finished editing, click on “Done” in the upper right corner to return to the menu and save the changes. 2) The “Paper type” option enables you to choose the type of paper you’ll be using. Standard white paper is the default option. You can choose paper with a gold or silver sheen or a more solid cardboard. Note that choosing a different paper type affects the overall price (see prices in USD below the paper samples). 3) By using the “Corner Style” option, you can choose sharp or rounded corners. To the right of the overall price is a button to select the quantity of items. With business cards available in packages (100 items in each), the price per package is displayed. We take orders for one or more packages. 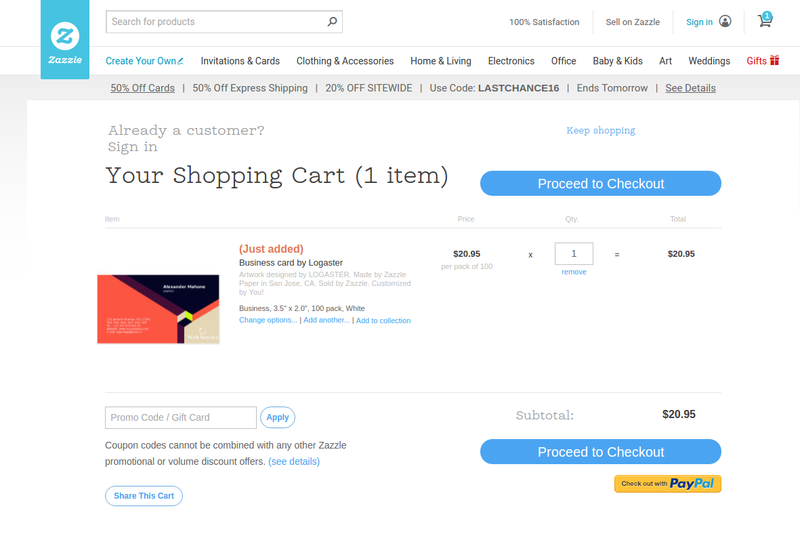 Once you’re done with the settings, click on “Add to Cart” to proceed to payment. 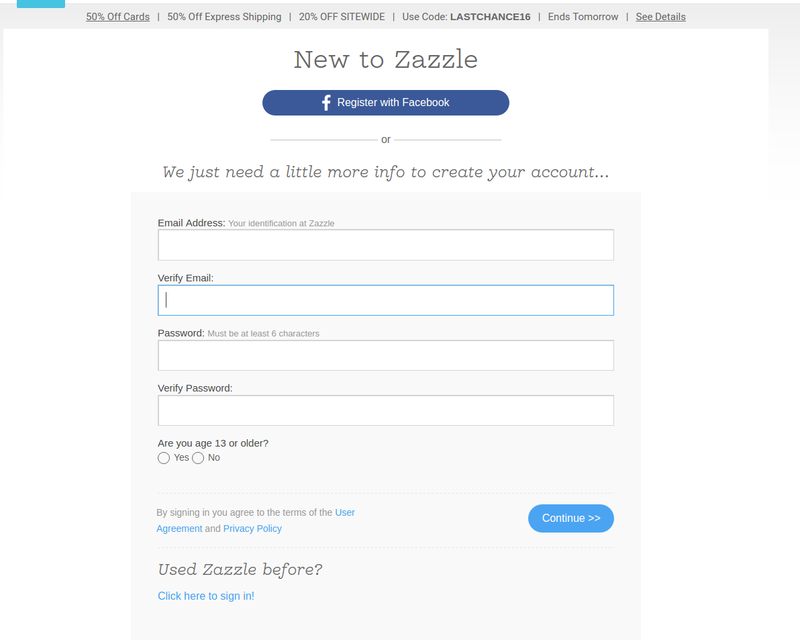 If you’re new to Zazzle, you’ll have to register an account. First you must submit your email and password. Alternatively, you can sign in via Facebook. 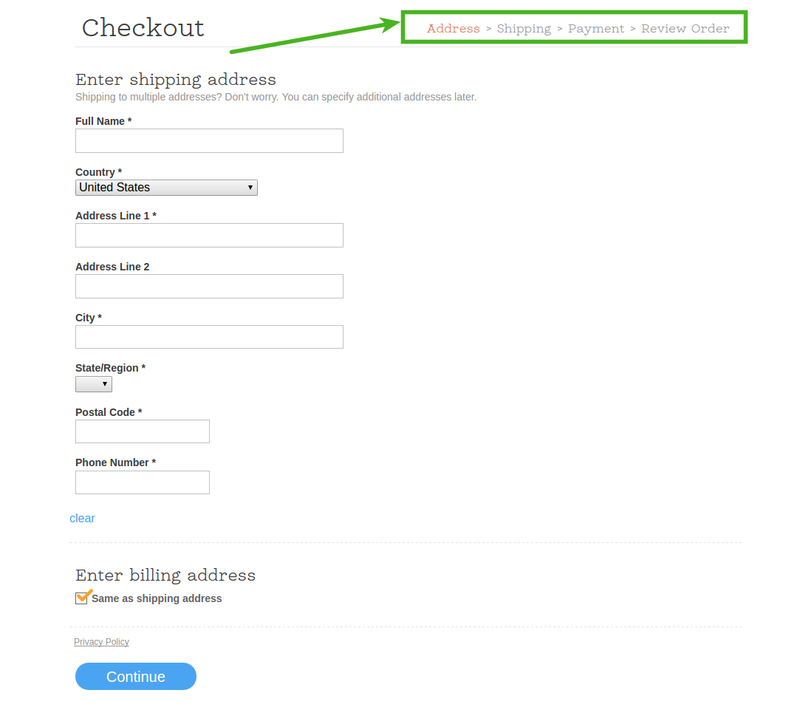 Next you must enter your full name and delivery address, as well as your payment information. 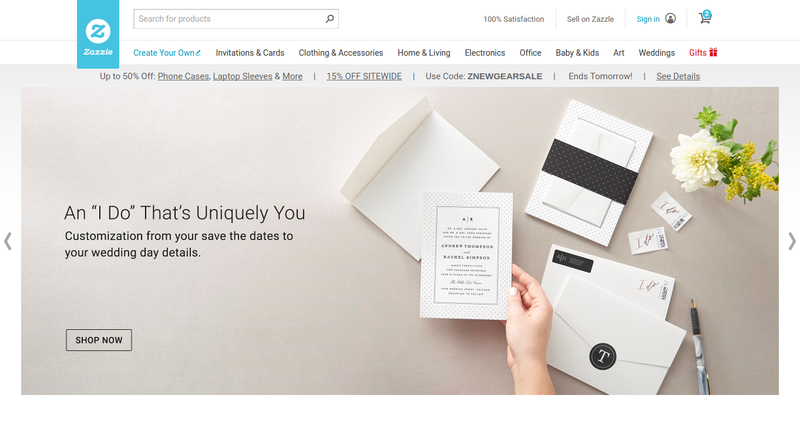 Currently, Zazzle offers two types of delivery – Standard and Express. Standard delivery enables you to receive a free 30-day trial. Once the trial period expires, you may purchase an annual subscription for $9.95. Standard delivery takes five to 12 business days. Production and printing take another two or three days. Express delivery takes two days. It costs $39.95/year and is available only in the USA. With advanced online services and platforms, you can improve your Logaster-generated designs and have your promos ready in a couple of days! Also you can find more information about business cards here.